Jerrold Kippen of Duensing Kippen was a guest on The Bangkok Podcast where he talked about the most recent HUGE changes in work permit related-laws in Thailand. 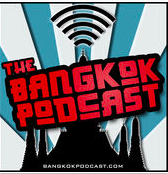 Click on the Bangkok Podcast logo below to check it out! This entry was posted in Uncategorized on August 8, 2018 by duensingkippen.